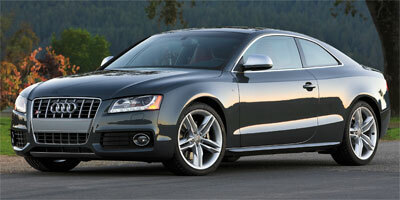 If you’re buying a car based purely on style, look no farther than the 2010 Audi S5. According to Audi, much like the Q7 SUV, the S5 was designed with the intention of invoking an aggressive and emotional style in buyers. With beauty being in the eye of the beholder, whether or not you buy into that philosophy is up to you; but there’s no doubting the S5’s ability to turn heads. The S5 experience is more than skin deep though; it’s got some attitude to it as well, with a new supercharged V-6 powerplant in cabriolet form that offers up brisk pace whenever you feel the desire to move at a faster clip. With its sleek, contemporary lines, high-quality interior and powerband that doesn't need to be revved to the redline to deliver plenty of grunt, it’s difficult not to be won over by Audi’s new performance cab. Interior quality is amongst the best in the industry. 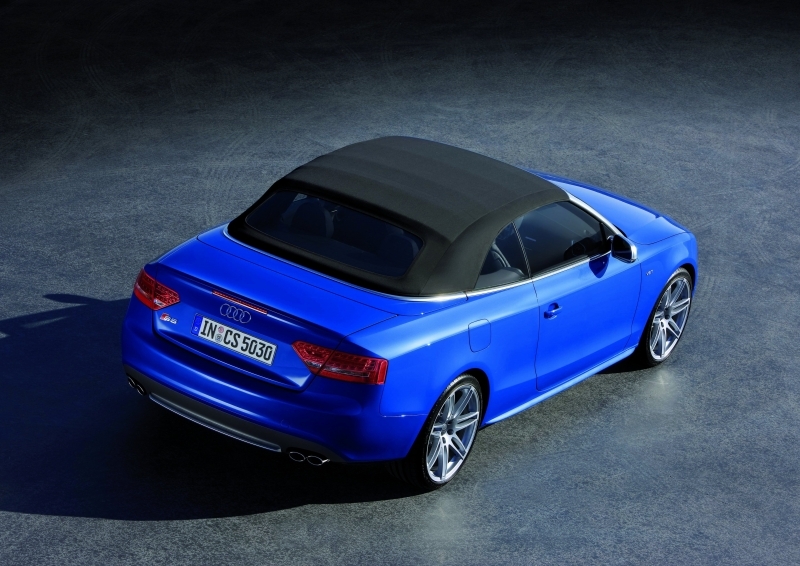 The fast-folding roof means you don't have to pull over to deploy the tonneau. Quattro all-wheel drive makes the S5 the sports convertible of choice in snow-laden locales – just keep the heater cranked. North American buyers are likely to want the V-8 that remains present in the S5 coupe, regardless of the increase in fuel economy provided by the V-6. Lack of a manual transmission option is mildly disappointing, although we do appreciate the use of a dual-clutch gearbox over a traditional slush-o-matic. Once behind the wheel of the S5, you’ll find if difficult not to mash the throttle, over and over again. Sudden acceleration is paired with a six-cylinder soundtrack and supercharger whine, but you have to listen closely to detect it. The S5 doesn’t accelerate with rampant violence, but with a fluidity of power that’s perfectly balanced with the car’s dimensions and upscale demeanor. Get the S5 out on a back road and the brakes quickly dispatch any straightaway acceleration, and the steering is direct and predictable, though there’s a minor delay between your turn-in and the car’s. Feedback at the helm is somewhat vague, though the prodigious grip offered by Quattro all-wheel drive makes the S5 an easy car to drive at speed. Audi’s new convertible is powered by a a supercharged and direct injected V-6, which makes 333 horsepower and 325 lb-ft of torque at a low 2,900 rpm. The only transmission offered is a fast-shifting 7-speed dual-clutch automatic, driving all four wheels via Quattro all-wheel drive. Audi Drive Select controls the engine, suspension, transmission and steering characteristics of the S5 and has four modes: comfort, auto, dynamic and a customizable individual mode. This system allows the driver to custom tailor the responses of the chassis and new sport differential to any driving situation. The MMI media control system system uses a scroll wheel interface, making iPod integration very simple and intuitive. A Bang & Olufsen 14-speaker, 505-watt premium sound system is also on offer. Audi offers a navigation package with a 7-inch screen, which includes a rear parking system and a rearview camera. Audi Advanced Key, included standard with Prestige trim S5 models, lets you open the doors and start the car with the push of a button while the fob remains in your pocket. Servotronic speed sensitive steering gauges road speed and weights up as speed increases, making low-speed maneuverability less work for the driver. Audi's new 3.0-liter supercharged V-6 shines in the fuel efficiency deparment, especially when compared to the 4.2-liter V-8 used in the S5 coupe. The V-6 returns 17 mpg city, 28 mpg highway, making the 14/21 mpg 4.2-liter V-8 look very thirsty indeed. The S5’s interior is a typically ergonomic Audi affair, with the center stack navigation screen flowing down into the thermostat controls and MMI buttons. We’d recommend the Black/Tuscan Brown Milano Silk Nappa leather, as it contrasts beautifully against the S5’s dark interior trim, especially for those opting for carbon fiber inlays. Like all S-Model Audis, the S5 has a sophisticated and visually passive exterior, the model’s performance upgrades only hinted at by its 19-inch five-spoke alloys, massive brakes, lower front-end spoiler, S5 badges and V6T logos which sit below the aluminum accented mirrors. While The S5 isn’t what one would classify as affordable, it’s hard to argue that it’s not well priced for what it is – a sophisticated German convertible. 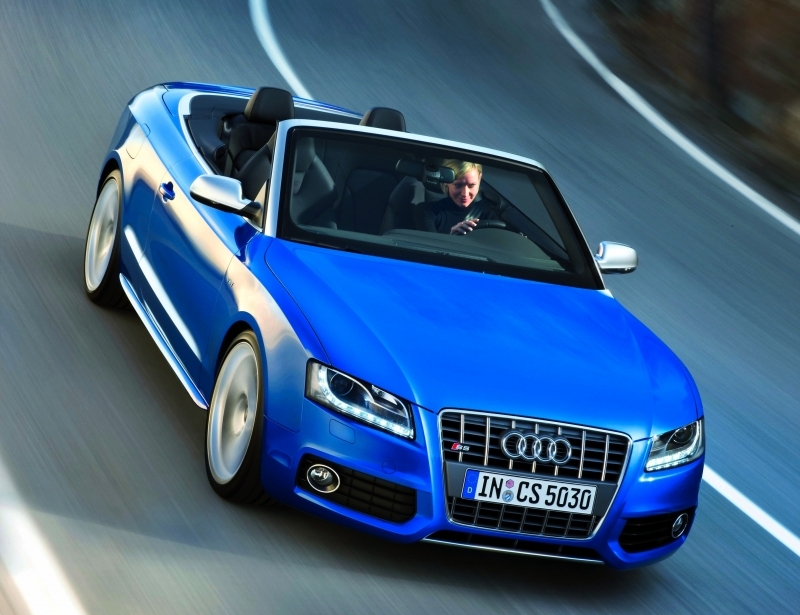 With an MSRP of $58,250, the S5 goes directly up against the Mercedes-Benz CLK350 Cabriolet and BMW 335i Convertible. With a few options, the S5 reaches into the mid-sixties, putting it in line with the base prices of the Mercedes-Benz CLK550 Cabriolet and BMW M3 Convertible. The Audi S5 offers up an enticing blend of modern design, neck bending looks, outstanding comfort and stomp-on-the-throttle performance. The steering might be a bit numb in the corners and its thirst for fuel is enthusiastic, but few cars in this price range will get you so many looks and return such driving pleasure. As far as sleek cabrio lines go, it currently has the best on the market.